Just leave your bag at the door or the office. We will pick it up and deliver it back for free! We offer fast, reliable service from 10 locations in Calgary – find a Fishman’s in your community. See our current fDeals for the month and save big! Check back often to view new deals and offers. We take the best care of all your garments. Fishman’s is the only green dry cleaner in Calgary who has removed all Perc, solvents and other commonly used dry cleaning chemicals to become 100% solvent free. We believe your clothes and the environment deserve our additional care, time & attention to detail. Came here to get my dry cleaning done for my jackets and they were absolutely delightful to work with. Offered me a great service and also have alteration facilities to fix and repair clothes and shoes too. Fishmans has been my go-to dry cleaner for about 8 years. They do such a wonderful job! Fast and friendly service. Very satisfied with how my clothes come back. Wicked fast service, and very convenient for me. Exceptional friendly service every time at the Bow Downtown location. I love the service at Fishman's Personal Care Cleaners. As a busy professional I never have time to get my drycleaning to the drycleaner and then get it picked up again. Seriously I change a size before I get my jackets. Fishman's makes it easy. They have been picking up and dropping off at our office on our corporate account. It is easy, it is fast, and the price is competitive. We even had them do our table cloths last week. Fantastic service! Thank you Fishman's! I have always been happy with the service at Fishman's and especially the convenience of their free delivery. I've dealt with Fishman's cleaners for years. The service far exceeds any other drycleaner in the City. If ever there is an issue they always step up and deal with it in a timely and professional matter. Fishman's offers tons of services, I have used them for dry cleaning suits and dress shirts. Never had an issue, and they are conveniently located throughout the city for me. However the 17th ave location is usually my go-to! Been going to Fishmans for years. It never fails to be a world-class experience. Great staff, great service, great work. I reached out to Fishman’s Personal care cleaners in regards to a community event and they welcomed my request with opened arms. What a great business and I know I will use them for all my clothing/ shoe needs and let everyone who asks, to use Fishman’s for theirs too. Thank you so much !!!! Great supporters of our community! Check out them out for your dry cleaning needs. They also repair �! Best dry cleaner in the city and they give back our community. What more can you ask for! I love my boots and wear them to death! Fishman's has always been there for shoe repair/heel reconstruction as needed, which in the end has saved me a ton of money! My boyfriend just started a new job and I've already recommended he check out Fishman's for his dry cleaning! Bonus is you're just down the street! Top-notch service and I love that they support the community by donating to youth sporting organizations. Fishmans personal care cleaners are the cleaner of choice for the team at Mercedes-Benz Country Hills..love the personal service. We love Fishman's! The service is friendly and they always do a great job. We also love their efforts to help the environment by going solvent free. Excellent service. Thanks for taking care of my clothes!! I got my shoes (expensive Prada dress shoes) very dirty at my office Christmas party and didn't have time to properly clean them. I took them to Fishman's and they did a perfect job. Highly recommend. I need to take suits in for dry cleaning and the first place that came to mind what Fishman's. 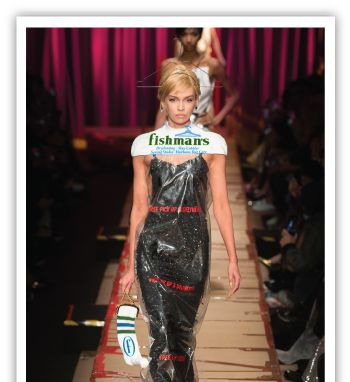 Although we don't need dry cleaning often, when we do Fishman's is our go-to. They always do a great job! Always prompt and detailed service, with quick turn around times and convenient locations! Really prompt service! Our cushions were supposed to be one week an it was only two days! I must say in regards to drycleaning that Fishman's has to be the best in the city by far. They bring unified services under one roof and handle all your items from cloths to shoes with the utmost care and professionalism. I always bring my cloths to The Bow location and always leave satisfied. Thank you Fishman's! The girl at Fishman's at the Bow Building is incredibly friendly. i'm looking forward to seeing the alterations work on the pants i'm bringing in this week! Would not go elsewhere for any of my needs - always on time, well done and no issues!!! I love the home pick up and delivery. Fishman's has always provided excellent service. Fishmans covered all of the music uniforms for Ernest Manning High (over 120) free of charge and is offering 20% discount to all families who have their uniform cleaned with them at the end of the year! Thanks Tasha and team for being such a great community support! Very friendly staff and professional atmosphere! Thanks guys! I will be honest and say that I am writing this review in order to receive the $10 off promotion for a review (haha). But, after saying that, we have used Fishman's cleaning & delivery service for my husband's business shirts for years, and we have never had a problem with their service. I seem to recall there may have been one incident in 20 years of biweekly service when our garments were mistakenly delivered to a different customer a block over from our home with the same house number! Fishman's corrected it immediately. They are very responsive to customers and there is never an issue with the work they do. I love the friendly and honest staff at Fishman's. The company will always step in if there is ever an issue and the dry cleaning get done quickly. You should definitely put them on your list of dry cleaners to try! I have been taking my clothes to Fishman's for the past 15 years and have always had fantastic service. The dry clean quality is superb, the delivery service is exceptionally convenient, and the staff always friendly. Whenever there has been a hiccup (maybe twice in 15 years), Fishman's always went above and beyond to make sure the issue was rectified. I would recommend Fishman's to everyone! Great service! My wife and I use the SpringBank Hill location. We have used other cleaners in the past and never experienced this type of service . Their shoe repair service is also really good. Highly recommended! I moved to Red Deer and drive to Calgary to get my cleaning done. Only place I will trust. Top notch. Fishman's is the only place my family will take their clothes for cleaning. Fishman's will pick up from your home or office and will promptly deliver them professionally clean, fresh and pressed. 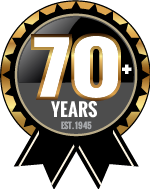 Over the many years that we have used their services their quality of care and customer service has always been outstanding. Highly recommended! I travel to Calgary for business frequently and Fishman's has been nothing but great as my cleaner in town. Great service, clothes are clean and pressed impeccably, and prices are very reasonable. Highly recommend! Appreciate the hard working and polite team at Fishman's. Delivery services are efficient and on a timely schedule. Thank you very much Fishmans; for helping to make our household organized! Fishman's Personal Care Cleaners has stepped up in so many ways - their support of local charities and grassroots causes is visible around the City and is always wonderfully generous. The delicate blouses and dresses I've trusted Fishman's with always come back perfectly pressed and sparkling clean. I highly recommend Fishman's. I love love love Fishman's new shoe services. They have fixed my heels & they now look brand new! So awesome! Fishman's cleaners, as well as being an excellent Dry Cleaner, have been a big supporter of non-profit community organizations like the one i work for - Calgary SCOPE Society. For many years they assisted us to raise money for a variety of initiatives that supported people with disabilities. Sheldon and Tasha personally worked with us to set up a fund raising endeavour and committed their own time and resources. Thanks Guys! Outstanding service and always on time with every item I've ever brought in. Specialty items were also taken extremely good care of and have led me to make Fishmans my first choice! Fishman's is the best! Saved my daughter's dance costumes after she had spilt red powerade on them. She required them that evening for a performance.Thank you!!! We are very grateful! Fishman's on 17th rocks! Thank you for always taking great care of my clothes! Friendly staff and reliable service is a guarantee at this location! Whenever I go to Fishman's Cleaners I always get friendly and professional service. You saved my grandmother's wedding gown from absolute ruin. It is now clean, safe and sound in it's own box waiting to be handed down in the family like the precious heirloom that it is. Thank you so much for the specific knowledge you possess about delicate fabrics . It was truly a wonderful education for me. Fishman's is the best dry cleaners in all of Calgary! My wife and I go to the one on 14th street mostly and they always have great customer service! Our clothes come back like brand new and they always have them ready for us to pick! Thanks Fishman's for being a trustworthy dry cleaners! Fishman's is the only place I will take my clothes for cleaning. They are very professional and prompt, amazing quality and service always! Great experience with Fishman's! They came and picked up the clothes I needed cleaned at my office, and then dropped them off when they were done. Clothes we perfectly clean and pressed, and best of all, I didn't have to take time out of my day running back and forth to the cleaner! Will definitely use again! Fishman’s has serviced celebrities such as Justin Bieber, Diana Ross & Neil Diamond. 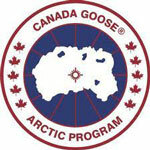 Fishman’s is proud to be an official drycleaner for Canada Goose. We know you’re busy so we’ve made it simple. Just leave your bag at the front door or outside the office. We will pick it up and deliver it back for free!